Where relaxation is a science. 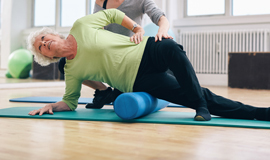 The body has a remarkable way of healing itself, and part of its natural healing process is releasing pain relief endorphins which are just as, if not more, effective than their prescription drug counterparts. However, the body’s ability to release these hormones relies on its ability to relax and tension often times blocks the natural healing process. In this way, floatation therapy helps to provide your body with the tools it needs to heal itself by relaxing you and releasing tension in a sensory deprivation tank. Sleep is absolutely essential to your body and your mind, in more ways than one. Because of this, when you struggle with insomnia you are not only tired and frustrated but your health suffers as well. 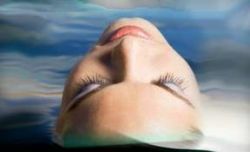 Flotation therapy is specifically designed in order to reduce tension and provide you with a level of calm and relaxation you haven’t felt in years. Just one session in a floatation tank can be effective enough to break a long pattern of bad sleep because one good night’s sleep will lead to another. In addition to helping you sleep and providing pain relief, the relaxing effects floatation therapy also enables many people to benefit from increased fertility, flexibility, agility, and sports performance. 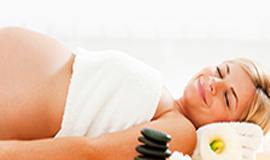 Combine with one of our specialized massage services for an unparalleled therapeutic and relaxing experience. Contact Naples Massage & Neuromuscular to learn more about our floatation therapy, and see how it can reduce your stress and improve your life.